Looking for a delicious Nutella recipe? 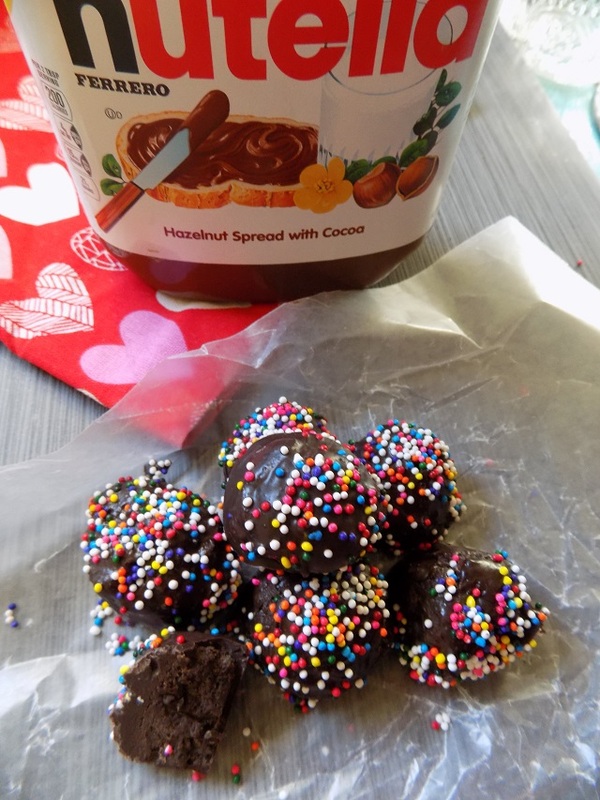 These 3 ingredient Nutella Truffles are amazing, and they are so easy to make! Valentine's Day is just a few weeks away, so I decided to experiment with a new recipe last week. Don't you just love it when a recipe is simple, and yields something ultra delicious? I know I do! If you're looking for an easy to prepare sweet treat to gift to loved ones this Valentine's Day, these would also make a great gift. Simply pop them in a cute tin or container. Grab the recipe and simple instructions below. 2 cups of Dark Chocolate (or other preferred flavor) candy wafers. Prep time: 35 Minutes + Refrigerate for 1 hr before serving. Start by adding your Oreo's and Nutella to your food processor. Set it at a medium speed for about five minutes. All of the ingredients should be combined well. Place your mixture into the refrigerator for 10-15 minutes to chill. Once the mixture is chilled, it will be easier to roll/form. Form about 1 tablespoon of your mixture and roll it/form it into a ball. Once rolled, place them on a parchment paper lined cookie sheet or tray. Repeat this step until you have used all of mixture. Once complete, place your tray in the refrigerator for 1 hour to chill. Once chilled, melt your dark chocolate candy wafers according to the package instructions. Use a skewer or toothpick to dip and coat each of your truffles completely. Repeat this step until all truffles are covered/coated. Place completed truffles on a parchment paper lined cookie sheet or tray. 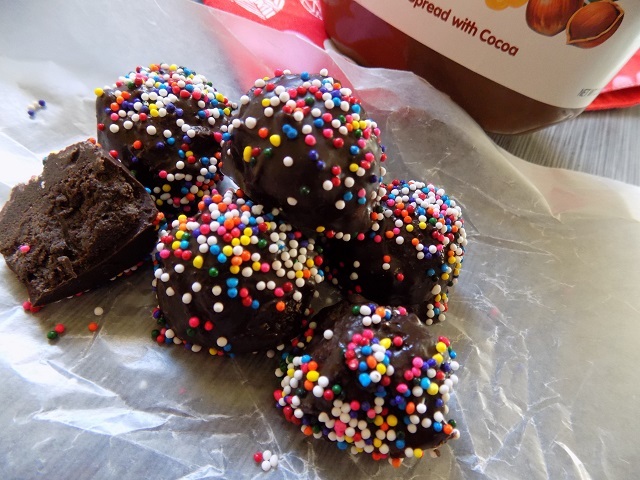 Optional: Use non-perils or sprinkles to decorate the top of your truffles. Place the tray in the refrigerator for 10 minutes to chill/set the chocolate coating on your truffles. You can store these in an air tight container for up to 1 month.